Although our new location is just as charming and intimate as the old shop in Royal Oak, it also has substantially more space to browse freely, engage in conversation, or just find a spot to rest your glass. And now that we’re open for business we want to jump right in and host the first of many tastings. Join us on Monday, June 16th to sample Pinot Noir and Chardonnay-based wines from Burgundy. Bertrand Devillard, of Domaines Devillard, will be on hand to guide us through the wines and share some insights about the region and estate holdings. 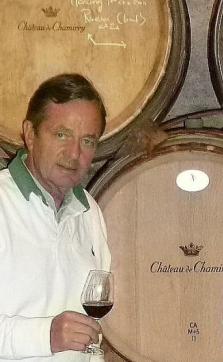 The wines offered are produced at Château de Chamirey and represent the depth and value of Mercurey, the most widely recognized and important wine village of the Côte Chalonnaise. It just so happens that June 16th is Bloomsday, the international celebration of James Joyce‘s novel — and one of the essential works of Modernist Literature — Ulysses. The fictional protagonist of the novel, Leopold Bloom, spends a day kicking around Dublin, Ireland as a kind of contemporary Odysseus. In a passage that made the non-fictional establishment Davy Byrne’s Pub famous, Bloom orders a Gorgonzola sandwich and a glass of Burgundy. What better way to observe Bloom’s wanderings than with Burgundy and a Gorgonzola cheese sandwich? We’ll be tasting between 5-6 pm with complimentary sandwiches and special pricing on the sampled wines for that hour only. In addition to the in-store tasting, we’ve asked Chef Paul Grosz of The Stand in Birmingham to prepare a unique dinner inspired by the food that Leopold Bloom eats amid his wanderings. This limited seating dinner will also include wines from Bertrand Devillard’s Domaine des Perdrix in Nuits-Saint-Georges, including an Echezeaux Grand Cru. 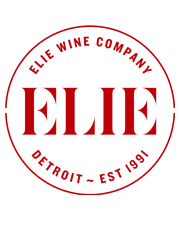 Call us at 248-398-0030 or email elie@eliewine.com for more information or to reserve your seat.